There aren’t many details on this new ride from Kyosho, but I would expect it to be similar to their other mini-z offerings except this one is made to hit the dirt jumps! Love to see a 1/10 scale Stinger MKII again. What I would really like to see is a COX Turbo Scorpion. 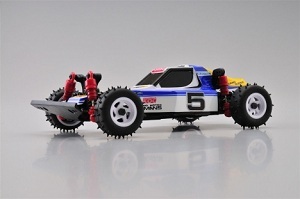 Come on Kyosho! Please bring back some old school icons!